Poonam hails from a small village in Uttar Pradesh. Her father is a daily wage labourer in Ludhiana Mandi. He sends 2000/- per month to the family. Her mother is a house wife and brother is a student. Her sister is working as a volunteer in an NGO located at Gyansarovar. Poonam was pursuing her graduation through distance learning. Due to lack of guidance from her family members, she was not clear about her future. One day her sister told about Don Bosco Tech centre and Retail course. While visiting the malls in the city, she was curious to know about the jobs in Retail and always tried to enquire about the training provider who is imparting such skills. When she knew that Don Bosco Tech is providing the training, without any second thought she enrolled in Retail course. 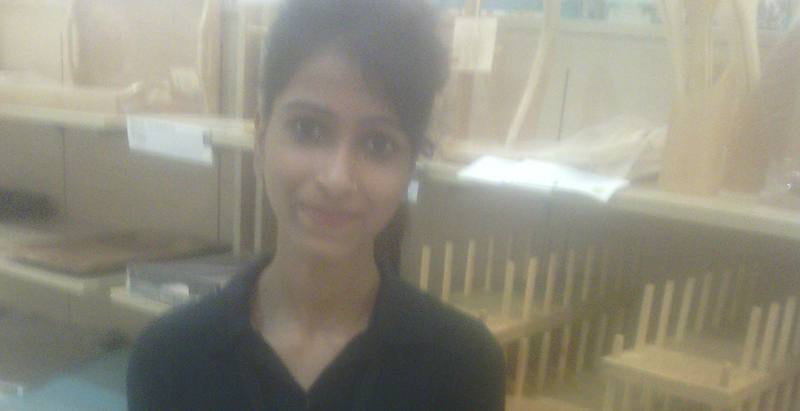 And she completed her three months training programme from Don Bosco Tech (Bhalaswa Dairy, New Delhi). After completion of training, she went for an interview at Shoppers shop where she was selected as ‘Trainee Sales Associate’ with annual salary Rs 1.8 Lacs.